NEW ALBUM – Featuring Special Guests: Tony Levin, Davide Rossi, Petra Haden, and Nora Germain! Our first album – Yamanashi Blues – was recorded in 1991 in Bert Lams’ living room in Hollywood using 3 Ovation guitars. 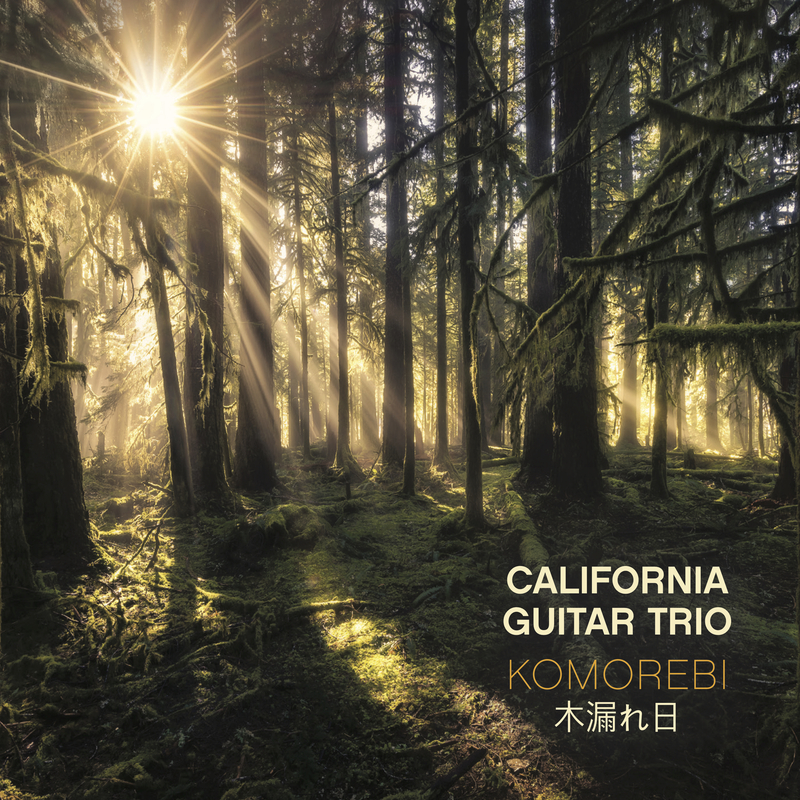 NOW, 25 years and 14 albums later, we have recorded our newest release – KOMOREBI – in a way that is different from any project we’ve done before! For this recording, we focused on capturing the most natural sound possible from our acoustic guitars. Our studio engineer, Tom Griesgraber, did a lot of research and experimentation with different Neumann microphone configurations. We finally found 3 different set ups that helped us achieve our aim – TO SOUND AS THOUGH THE LISTENER IS SITTING IN THE MIDDLE OF US WHILE WE PLAY! Special Guests: Tony Levin - NS Upright Bass, Chapman Stick (2,10,11); Davide Rossi - Violin (7); Petra Haden -Vocals (10,11); Nora Germain - Violin (10); Tom Griesgraber - Theremin (4).